Jonathan Keep, I Think, 2018. Photo by artist. I do not need to explain to the readers of this journal the long and diverse history of pottery. In every corner of the globe where clay exists, pottery is to be found, objects that express the character and stories of the culture and of the people who made them. I identify as a potter, a creative who wants to continue the tradition of making clay vessels that represent the age in which I live—an age in which computer technology is ubiquitous. I am of the opinion, having considered the diverse heritage of pottery, that a pot is no more than a sculptural object, a human construct, not bound by any single function but more of a common visual language and tradition that reflects the culture in which it was produced. Simply put, if pottery is all about domestic, utilitarian function, why don’t all pots look the same? If you think you know exactly what a pot is, possibly this is not the article for you. Like them or loathe them, computers are able to compute information at faster and faster speeds. The social effects of this technology are everywhere to be seen—even in the pottery studio, where computers have been for some time. Who with an electric kiln does not have a digital firing controller or use glaze calculation software? The digital revolution is already in the pottery studio. 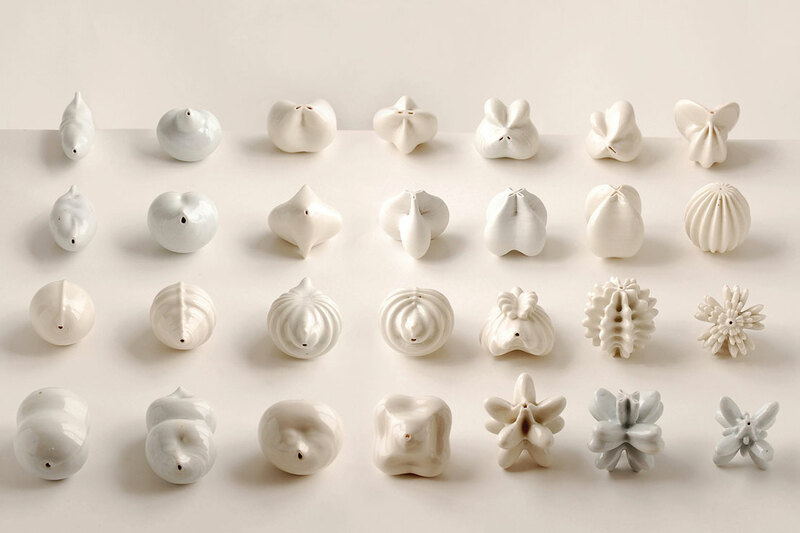 What is particularly exciting to me are the new ways of working with clay that computation offers, such as generating forms for 3-D printing with computer code, how this might come to redefine what a pot is, and the relationship between the maker and the object. The popular image of pottery is that of the handmade artifact. That image is far from the truth, considering that in the modern world most pottery is mechanically mass-produced with minimal handwork involved. The handmade pot is something of an indulgence, a nice indulgence in an affluent society, but it is helpful to remember that in developing nations handmade often represents low pay and, not uncommonly, exploitation. I do not aim to undermine the sensitivity of the human hand and the ability of the hand to offer subtle, readable gestures and marks, but I do question the romanticised binary view that hand is good, mechanised process is bad. 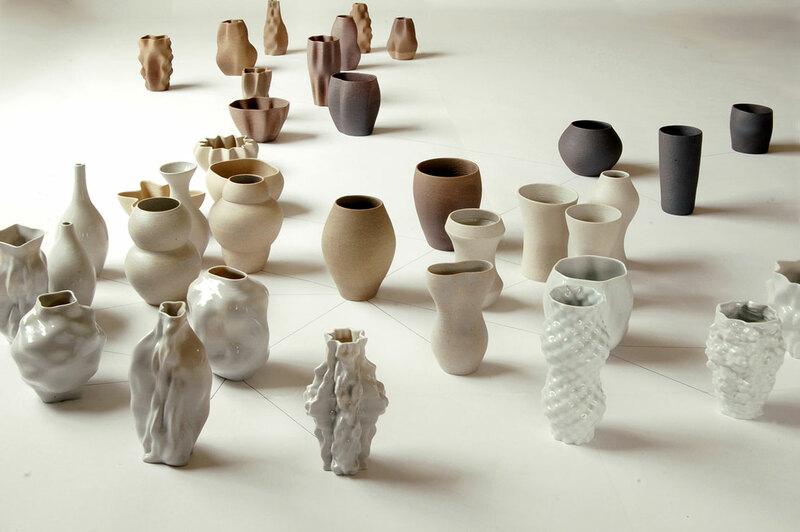 Technology is unavoidable in the pottery workshop, so what is important is how it is used. Originally from South Africa, Jonathan Keep is an independent practicing artist potter based in Suffolk, United Kingdom. 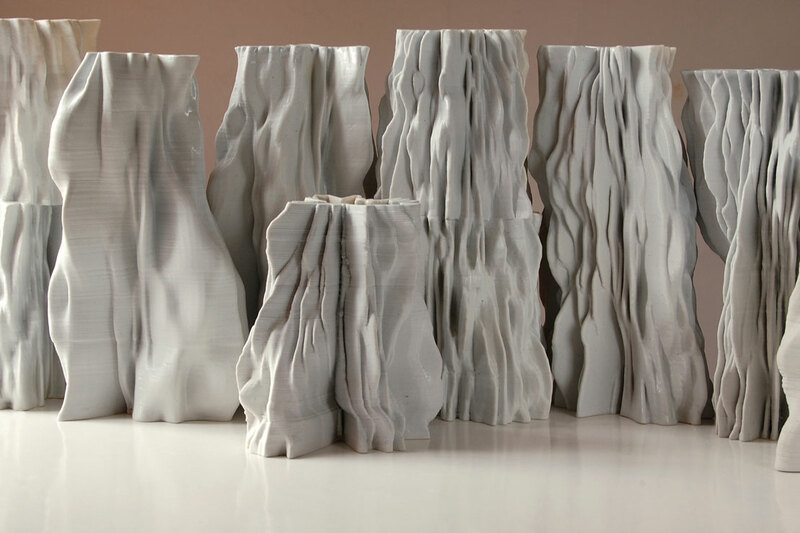 A leading exponent of studio-based ceramic 3-D printing, he makes ceramics that are recognizable for their strong sculptural quality and emphasis on form. 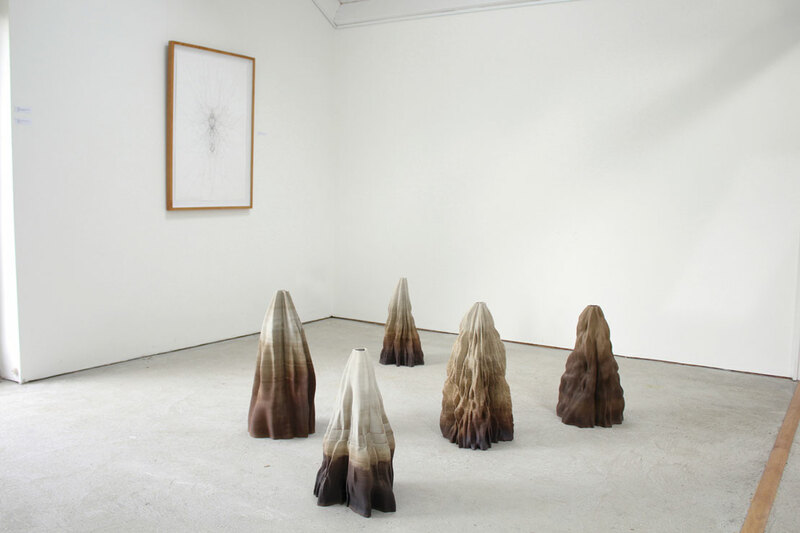 A graduate of the Royal College of Art, London, he exhibits and teaches internationally.